Is one of the easiest things you will ever do. I would never say I am a “crunchy” mom. But, I do cloth diaper, I use an amber teething necklace, I make my own baby food, and I am definitely not a helicopter mom on the playground. I let Elliette fall down and I encourage her to make decisions for herself. One thing I will say say is that no matter what choices you make for your child, make them your own and do what feels right. I always thought making my own baby food sounded really awesome. So, a baby bullet was put on my baby registry and I quickly purchased up a couple of baby food cookbooks. I sat down with the cookbooks and immediately felt so overwhelmed. They encourage to buy organic and local and had all these crazy combinations that were intimidating. I decided to just read through the books and then “wing” it. I mean I could cook in the kitchen pretty easily, making baby food shouldn’t be that difficult. “go to” ingredients for baby food. A quick steam, or boil, or a bake in the oven and all of my veggies were ready to be processed. When I am at the grocery store I tend to pick the veggies and fruits that are a tiny bit over ripe. I also don’t buy anything special. 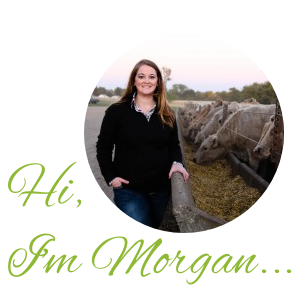 I am a supporter of all areas of the agricultural industry. But, I tend to not purchase organic foods. Mainly because of the price. I am very confident in the famers that grow fruits and veggies conventionally that for me I am fine not paying a premium for organically grown produce. What I tend to do is process each vegetable separately. I bake the squash at 350 for about an hour and then it’s super easy to scoop out and into the blender. I puree the squash and add water until it reaches the consistency that I prefer, which is just smooth enough for a baby, but not too watery. I then scoop out the pureed form and spoon it into ice cube freezer trays. I then stick the freezer trays into the freezer for over night. When I am making baby food I tend to make a decent amount. Once the purees are frozen in the ice cube tray I pop them out of the tray and toss them into a labeled Ziploc bag. Separated out by type of puree. When it comes time to eat I create my own mixtures. Sometimes pear and carrots, other times squash, apple, and peas. So, far I have some award winning combinations. Or at least my kid hasn’t purposely tried to spit it all back out at me! One thing that I really love about this is how simple it is. And not to mention the money I have saved. And if you have a little one on the way it’s the perfect nesting fun. On the times where I have been running low in my freezer I use some of my canned veggies from the garden to make more baby food. It is so rewarding reaping benefits from my garden during the winter. But, if canning isn’t your thing you can always freeze some of the veggies from your garden until you do get time to make baby food. 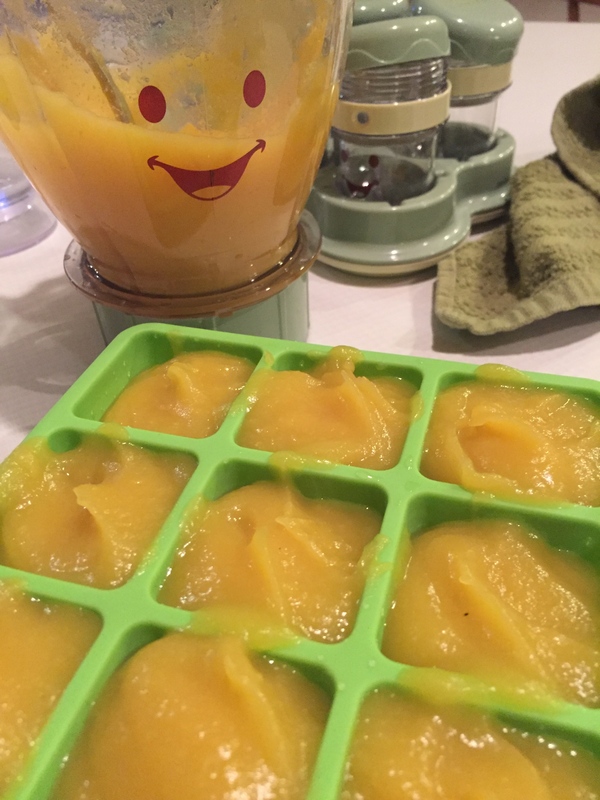 Don’t be afraid to try out making your own baby food. If you are worried, then start slow. Use the veggies that you are making for supper. Just throw some of your cooked carrots and corn into your blender and serve them up for your little one. No need to season. The veggies already taste super yummy without adding a bunch of other tastes. But that being said, don’t be afraid to try new tastes in the kitchen. If you aren’t a fan of sweet potatoes, your little one might love them! And you might find yourself searching for fun new recipes to try out in the kitchen!